THE room was full as brethren, ladies and visitors attended the Freemasons vacant chair ceremony that was held at Gayndah Masonic Lodge last night. It was a touching tribute to the fallen brethren who gave the ultimate sacrifice while fighting for our freedoms not only in World War I but in all wars. 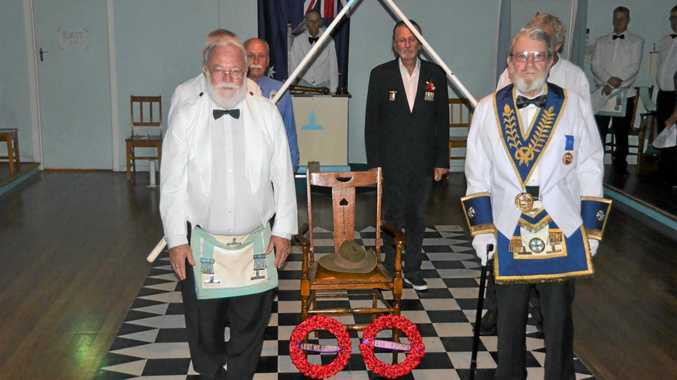 The worshipful master, very worshipful brother Bill Turner said the ceremony had been adapted from an Anzac Day ceremony, to make it relevant for Remembrance Day. The aim of the ceremony was to recognise those who have fallen in conflicts since 1914. Worshipful brother Chris Roberts of Biggenden Lodge was the guest speaker on the night and shared the story of how his late wife Lyn discovered a collection of more than 200 items of World War I memorabilia. The mementos from the war were found in a box underneath the bed and were nearly going to be thrown out. These items were saved and taken by Mr Roberts' son Mark, who works at Emmaus College, the items have all now been documented and preserved. 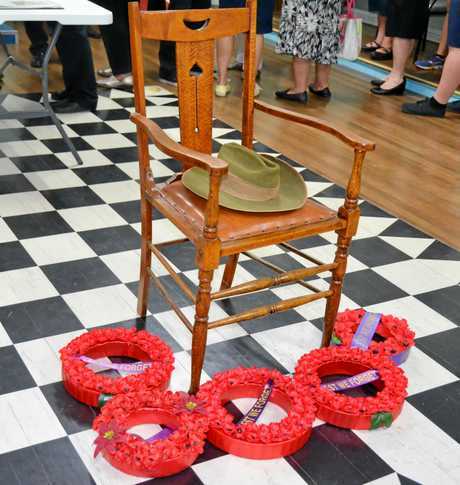 Mr Turner said Gayndah Freemasons usually hold the vacant chair ceremony once every two years on Anzac Day, however this year the ceremony was not held on Anzac Day with the lodge waiting until Remembrance Day instead. Mr Turner said it was important we remember those who fought for our country. 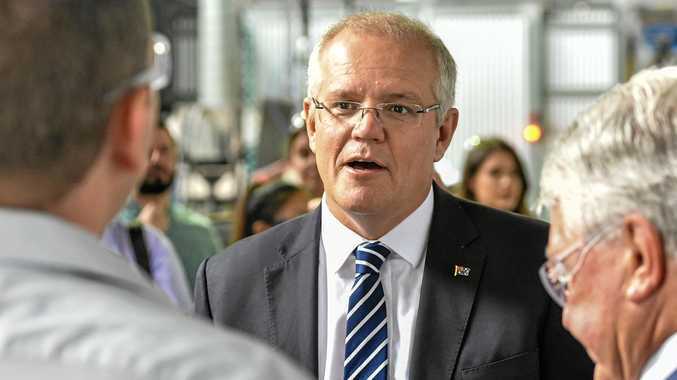 "I think it's a cornerstone of all the things that we have got now, all of the freedoms that we have got and if we don't recognise those who have given the ultimate sacrifice then we lose what the soldiers were fighting for, such as having free and independent police, counterbalances in government that we have in Australia,” he said. Mr Turner was pleased with the community support and how many people attended the ceremony. "It filled the room, so we couldn't have wanted too many more, everybody was talking, to me that was a good indication,” he said. 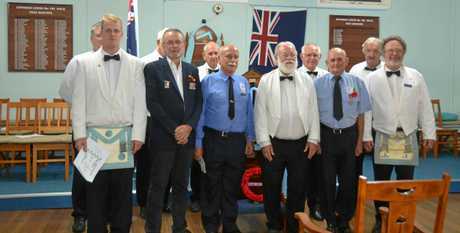 The night was also attended by other groups in the community including Girl Guides, North Burnett Regional Council, Rotary, Lions and RSL members. "I would like to thank everybody for turning up,” he said. 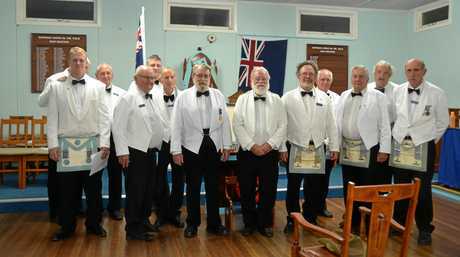 If you would like to know more about the Gayndah Freemasons or are interested in joining phone Mr Turner on 0407 714 247.